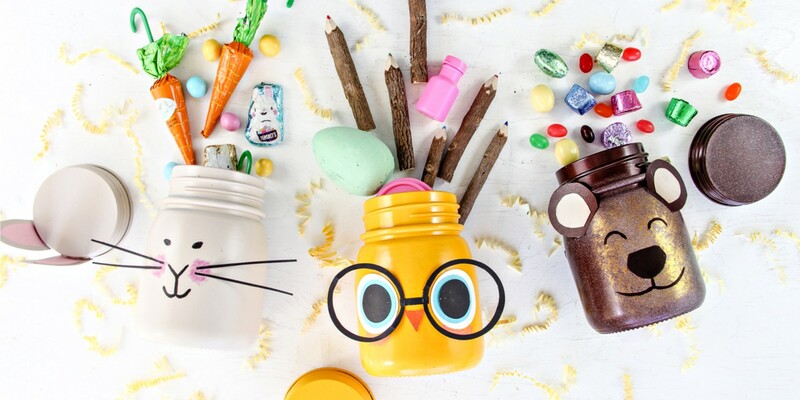 Easter is just around the corner, and if you are looking for fun Easter basket ideas, then you have come to the right place! We’re sharing three today that your kids will absolutely love. We’ve chosen three different themes based on the books Hush, Little Bunny, The Good Egg, and You Are My Happy. 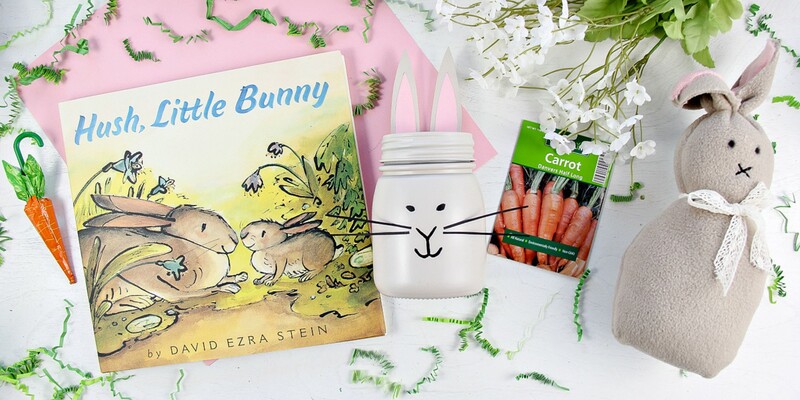 Follow the directions below to make handmade candy jars based on each of the books, and we’ll be sharing a few ways to fill your Easter basket! 1. Spray paint the jar with three to four coats of paint, allowing each coat to dry thoroughly before applying the next. You can even paint the jar lid too; just make sure your spray paint will adhere to glass and metal. 2. If you want your child to help make the jar, then this next step is the perfect one. Cut out ears and facial features using scrapbook paper. Alternatively, you can paint the facial features directly onto the jar using acrylic paint and a paintbrush. 3. Use hot glue to attach ears to the jar lids. 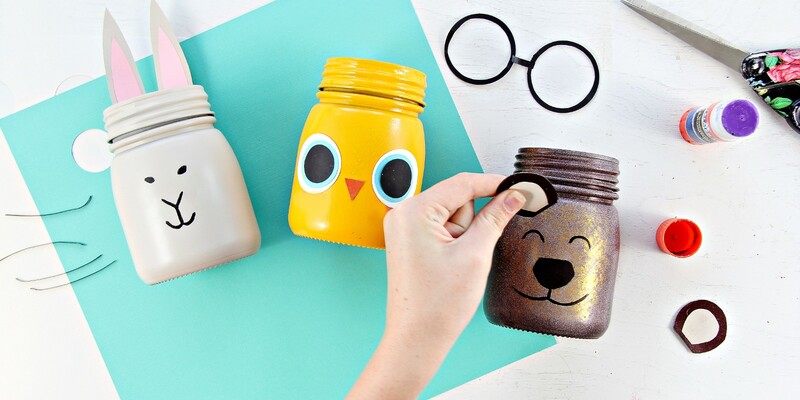 Kids can use regular school glue to attach any facial features to the jar that have been made from card stock or scrapbook paper. 4. Apply a sealer over the top to protect the paint from scratching off and set aside to dry overnight. 5. Fill your Easter candy jars with your child’s favorite candy treats. A copy of Hush, Little Bunny, The Good Egg, or You Are My Happy. A handmade candy jar (filled with your child’s favorite candy, of course) based on the character from the book. Assorted trinkets including chalk, pencils, rubber duck, and other themed toys that you can find inspiration for on the pages of each book. These will make story time extra fun. You could even include the bunny from our handmade bunny tutorial that we shared recently based on the Hush, Little Bunny book. 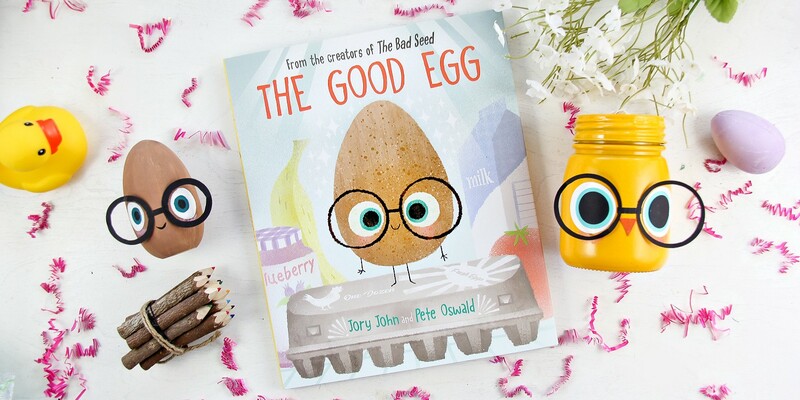 For The Good Egg, we’ve also included a wood egg made to look just like the Good Egg. You can find wood eggs in your local craft store. Simply paint it, and then use black card stock to make the glasses. From Hoda Kotb, the Today show co-anchor and the #1 New York Times bestselling author of I’ve Loved You Since Forever, comes a book about gratitude for the things in life — both big and small — that bring us happiness. 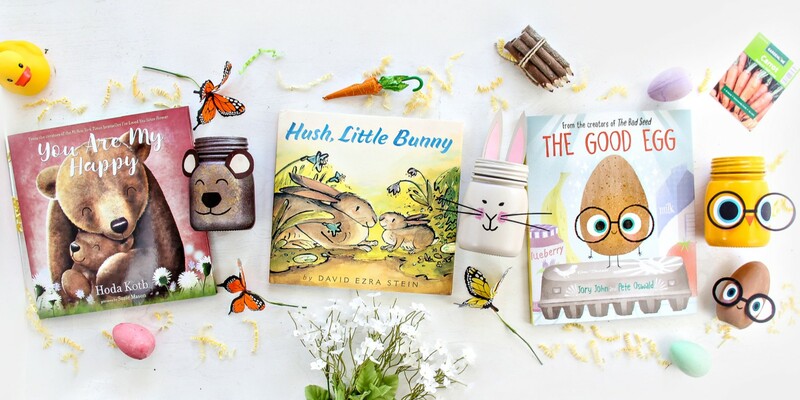 Hush, Little Bunny is a heartwarming, lyrical love letter from a papa bunny to his little one — from David Ezra Stein, Caldecott Honor-winning creator of Interrupting Chicken and Leaves. Fans of Kevin Henkes and Beatrix Potter will adore this gorgeous book. Home to many classics of children’s literature like Goodnight Moon, Where the Wild Things Are, The Giving Tree, Charlotte’s Web, Little House, and Ramona.